Mental Health issues, like anxiety and depression, are becoming more prevalent and also have less stigma attached than in previous years, so people are increasingly seeking help for these and other mental health and wellness issues. HomeMD is a patient centered health care service that starts with the simple download of our app. Our platform’s medical services include video conferencing, home visits and a state of the art clinic located in mid-town Toronto. Our staff includes qualified, licensed nurse practitioners (NP’s), who are able to screen for, diagnose and treat various mental health issues. Others may require a referral. Either way, with HomeMD your mental health concerns will be dealt with confidentially, empathetically and efficiently. With three platforms to choose from, HomeMD can offer comprehensive assessments of physiological stress and mental health from our mid-town Toronto clinic, via video conferencing or through a medical home visit. Regardless of which platform you choose, you will receive the same high quality health care with an eye to maintaining mental health and wellness at any stage of life. Stress is a normal response to everyday life, but when it gets out of hand, it can lead to anxiety, depression and even addictive behaviours. By taking part in an assessment for prevention of stress related illnesses, you are taking control of your mental health and working in tandem with HomeMD to safeguard your overall health. 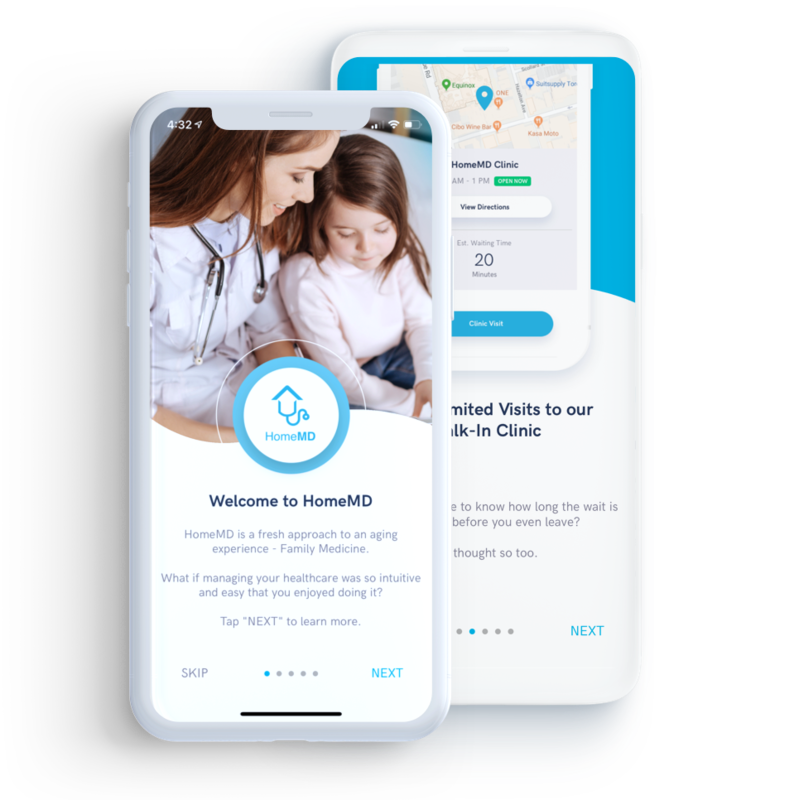 HomeMD is a digital-first primary health care service with a human touch that offers medical video consultation, house calls and same-day clinic visits, all through HomeMD’s unique app. For a subscription fee of $50 for an all access plan, you receive unlimited access to medical video consultations, as well as our other platforms which include medical home visits and clinic visits. Booking a wellness and mental health assessment with HomeMD can help identify emotional stress, interpersonal stress and performance stress habits. Catching these issues early and treating them quickly can help prevent further or worsening mental health issues downstream. Our nurse practitioners are trained to spot different types of stress and to screen for addictive behaviours, so we can help right away and get you back on track. Whether you need counselling and/or treatment for any anxiety or depression you may be experiencing, or require a consultation in cognitive behavioural therapy, our NP’s are fully experienced and able to treat many of these types of illnesses. They are also trained to screen for more serious signs that may require a referral to a specialized medical practitioner to get the help you need as quickly as possible. Mental health is no different than physical health and together with our nurse practitioners, HomeMD works to ensure high quality mental health and wellness care from all of our platforms. Nurse practitioners currently provide primary healthcare to over 3 million Canadians, which demonstrates how effective and accepted their medical expertise is in this country. HomeMD recently expanded its coverage area to meet the growing demand of our clients. We are now serving Toronto and almost the entire GTA. Knowing that you can turn to HomeMD for mental as well as physical health issues is reassuring to many. Although some societal stigma remains related to mental health, evidence-based medicine is proving that mental health is in fact no different than physical health, since many mental health issues are physiologically based. We believe in treating the entire person, not just the illness, and our emotional health and well-being is decidedly as important as our physical health. Armed with this confidence in our services and in our healthcare providers, patients can feel comfortable discussing any issue confidentially and can expect professional, reliable and effective care.